The Diploma of Arts is your pathway to an Arts degree at Monash. If you're inspired by new ideas, social and political issues, language and the way literature history and communication shapes our world, then our Diploma of Arts could be for you. Our diplomas are offered in two parts: part 1 and part 2. In part 1, you’ll study core Arts subjects to prepare you for your chosen stream. In part 2, you’ll choose your specialisation and study the same subjects as first‑year University students. Psychology stream – for students who would like to complete a major in psychology or become a psychologist. Sociology stream – for students considering majoring in communication, international relations or media studies. Want to study an arts and education double degree? Find out how. To apply for a Monash College Diploma of Arts, you must be at least 16 years old and meet the academic requirements. To study a Diploma of Arts you'll need to meet a minimum standard of English. Your destination degree is the Monash University degree you want to study after your Diploma of Arts. You can start a Diploma of Arts in February, June or October. 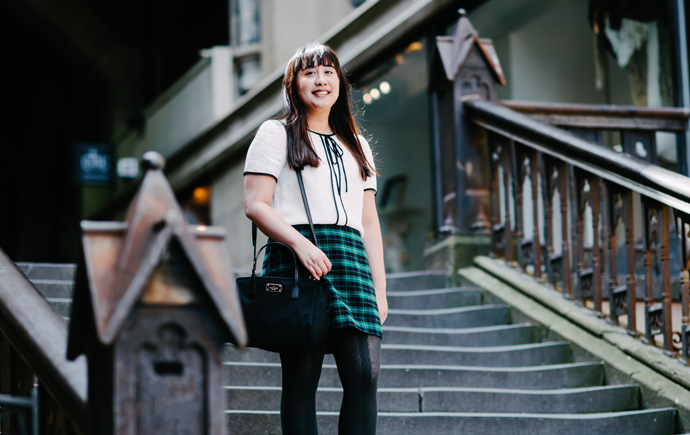 "At Monash College, I learnt how to think critically and develop my own ideas. It also helped me get into my preferred course at Monash University! During my studies I worked a part-time job and completed a journalism internship with Speaker TV's Department of the Future." What careers can a Diploma of Arts lead you to?